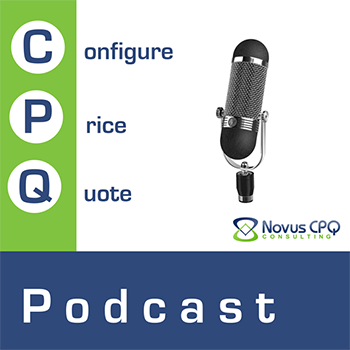 The "CPQ Podcast" is a weekly series about what's new, interesting and worth talking about in the world of Configure Price Quote (CPQ) software. In this interview, Frank Sohn of Novus CPQ talks with Axonom's Mike Belongie about Powertrak CPQ, 3D product configurator, virtual reality, and other related topics. The history of Axonom and when the company started developing CPQ tools. Why are visual configurations key to the CPQ process? Overview of Powertrak CPQ solution suite - Standard (Guided Selling), 2D and 3D Visual Configurator, Virtual Reality, Floor Space Planning, Dynamic Wiring. The role of Virtual and Augmented Reality in CPQ. What should a prospective customer prepare for when selecting a CPQ solution? Whose responsibility is it to maintain the configuration, pricing, and quoting rules? What type of industry is best suited for Powertrak CPQ? Listen to the interview by checking iTunes, Google Play, Stitcher or the Novus CPQ website.